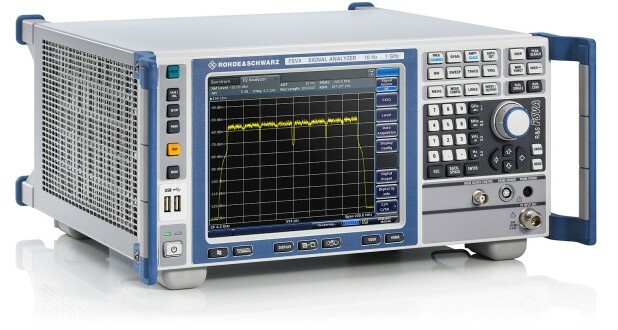 The R&S®FSV and the R&S®FSVA are a family of versatile signal and spectrum analyzers for users working in the development, production, installation and servicing of RF systems. Its high dynamic range and low phase noise make the R&S®FSVA the perfect instrument for demanding spectral measurements such as ACLR measurements on narrowband signals and phase noise measurements with the R&S®FSV-K40 option. The optional YIG preselector bypass allows signal analysis with up to 160 MHz analysis bandwidth over the instrument’s full frequency range, up to 40 GHz. 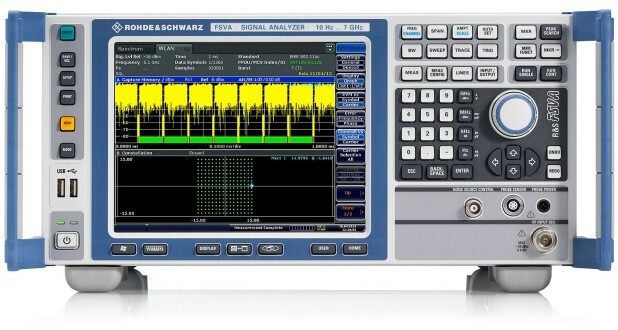 Together with the PC based R&S®VSE signal analysis software and the R&S®VSE-K6 pulse measurement option, the R&S®FSVA signal and spectrum analyzer delivers an in-depth pulse analysis solution. The software displays all relevant parameters such as pulse duration, pulse period, pulse rise and fall times, power drop across a pulse and intrapulse phase modulation, and produces a trend analysis over many pulses. 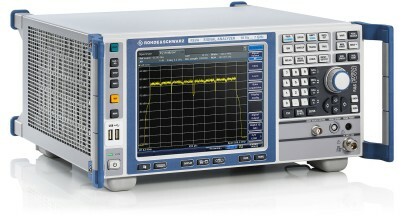 DANL (1 Hz bandwidth) 1 GHz < –152 dBm, –155 dBm typ. 3 GHz < –151 dBm, –153 dBm typ. 7 GHz < –148 dBm –151 dBm typ. 13 GHz < –148 dBm, –151 dBm typ. 30 GHz < –144 dBm, –147 dBm typ. 40 GHz < –136 dBm, –139 dBm typ. R&S®FSV-B22 option 1 GHz < –165 dBm, –168 dBm typ. 3 GHz < –163 dBm, –166 dBm typ. 7 GHz < –163 dBm, –166 dBm typ. R&S®FSV-B24 option 10 GHz < –164 dBm, –167 dBm typ. 30 GHz < –159 dBm, –162 dBm typ. 40 GHz < –154 dBm, –156 dBm typ. 1) R&S®FSVA40: maximum 10 MHz resolution bandwidth. 2) The R&S®FSVA13, R&S®FSVA30, R&S®FSVA40: R&S®FSVA-B40 and R&S®FSV-B160 options require the R&S®FSV-B11 option for frequencies > 7 GHz.